The U.S. Environmental Protection Agency said it posted a notice in error soliciting public comment on plans to revisit the regulations, which were approved in 2016 based on fish consumption rates in certain vulnerable populations, including tribes. 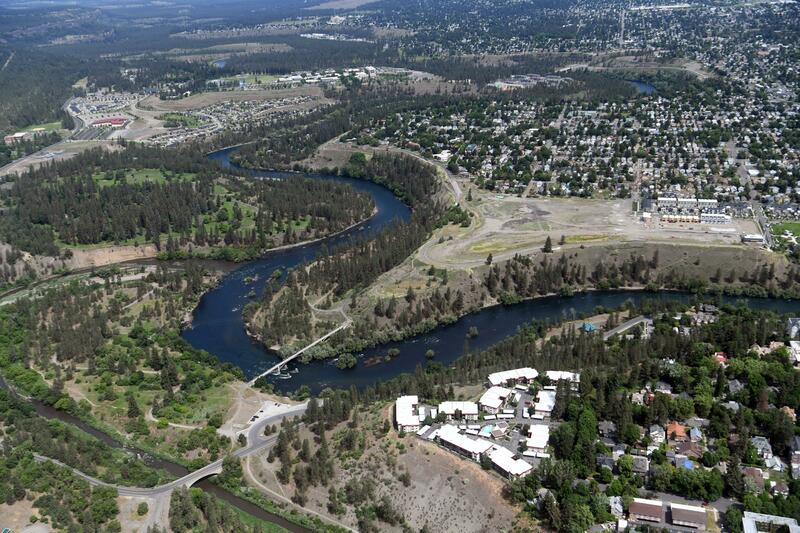 The Washington Department of Ecology, charged with issuing discharge permits for the Spokane River and all waterways in the state, said it was surprised by the initial opening of public comment, and that federal regulators hadn’t reached out to them before announcing they’d revisit the standards. “Being that this was apparently put up in error, we hope that they will engage with us if they take any further action,” said Ty Keltner, a communication manager at the Ecology Department. But to Jerry White Jr., the Spokane Riverkeeper, the notice tipped the administration’s hand, showing that a likely fight over pollution standards is looming in the future. A coalition of businesses and the Spokane chamber of commerce, Greater Spokane Inc., had petitioned the EPA to revisit a rule that was approved in the waning days of President Barack Obama’s administration that set standards on discharges of polychlorinated biphenyls, or PCBs, at a level that they said was too costly to implement and went beyond agreed-upon measures approved by state regulators. The businesses included the Northwest Pulp & Paper Association, whose members include Millwood-based Inland Empire Paper Co. That firm is a subsidiary of the Cowles Co., which also publishes The Spokesman-Review. PCBs have been shown to cause cancer in lab tests, and are of particular concern to people who eat large quantities of fish. The toxin has been shown to cause neurological defects and developmental problems in infants and the fetuses of pregnant women eating tainted fish. “These standards are more protective of Indian people and the treaty-reserved resources we depend on for our economic and cultural survival,” said Lorraine Loomis, chair of the Northwest Indian Fisheries Commission, in a news release. The group represents several tribes in Western Washington and was the first to discover EPA’s announcement earlier this week during routine monitoring of water quality issues, a spokesman said. Though he wasn’t a signatory on the petition from businesses seeking a reprieve in February 2017, Mayor David Condon has spoken to federal lawmakers and top EPA officials about the city seeking a variance from the new rule, arguing Spokane and its taxpayers have already invested millions in river cleanup based on the previous standard that was deemed adequate by state officials. Rep. Cathy McMorris Rodgers also asked that a provision be written into a federal spending bill last summer that would prevent EPA from imposing the stricter standard, arguing it was unattainable. But the Ecology Department warned this week that reopening the discussion about PCB limits, as well as other contaminants, would potentially expose the federal government to lengthy legal action that would tie up watershed cleanup efforts for years.